"Willie the Warrior" was used on and off till the '80's, Its origin is unknown. It is considered to be offensive to native Americans, and is now only considered as a piece of history. 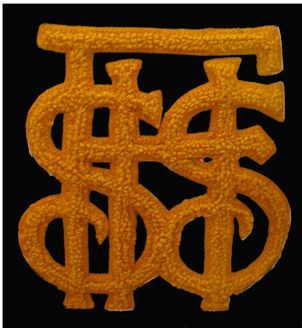 Below, The original monogram for Washington High had the letters SFHS, as it was the only high school in the city. It was designed by senior Edmund Swartz in 1906. It is still used today. 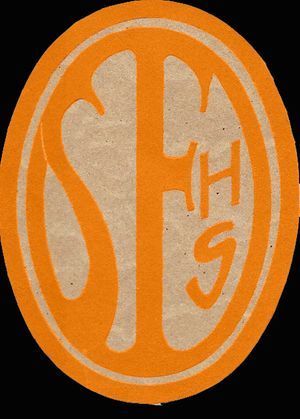 This symbol was used for the 1912 yearbook.